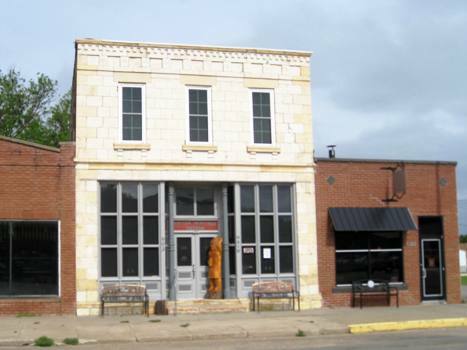 The Tipton Heritage Museum building, built in 1877, is one of the original commercial buildings in town. It was donated to the Tipton Heritage Association (established, 2007) by owner, Ken Hake, that same year. After 6 years of renovation by volunteers and very generous donors, the museum opened in 2013. The museum's two floors now are filled with artifacts and displays reflecting the history of Tipton, an exhibit honoring the community’s individual veterans, as well as histories of local businesses, churches and schools. Artifacts displayed in the museum include farm equipment dating to 1880s to a 2016 fire department tribute. Likewise, the museum provides a genealogical center that stores a growing historical information library of local families, many of whose ancestors were among the founders of the town back in 1872. 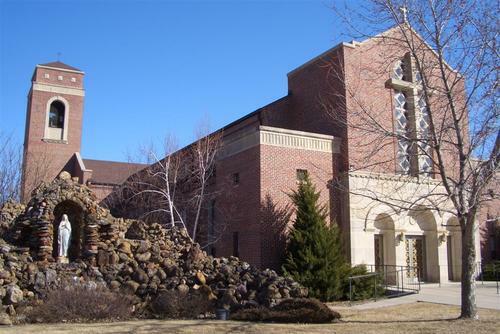 The first St. Boniface Catholic Church was built in 1877, with the parish having been established in 1875, by early settlers of mainly German heritage. The first church building was also used as a school. In 1899, a larger church was built to accommodate the growing congregation. That structure saw many beautiful ornate additions through the work of Fr. Charles Menig over the near 45 years of his parish service, until his death in 1947. An early morning fire in January of 1952, totally destroyed the historic church. Plans were quickly drawn for a new brick building. The construction was directed by Msgr. Edgar Weigel; it was completed and dedicated in 1954. Since then, some renovations have updated the building but its basic structure remains as a symbol to Tipton’s heritage and the faith of many of it’s citizens. The original rocks used in the grotto’s construction were collected from the surrounding Blue Hills, including huge crustacean-filled stones up to three feet in diameter. Unfortunately those large rocks became a safety problem and were later removed. It is also believed that Father Menig collected and brought rocks used in the grotto from the Lourdes, France area. ​The first Catholic school in Tipton was established in 1878 with classes held in the then newly constructed St. Boniface Church. In 1921, growing enrollment lead to the construction of the present Tipton Catholic High School building. Throughout the years, many upgrades have continued to maintain the school’s historic tradition and character and serving as first class educational building consisting of the newest technologies. Over 1100 graduates have walked through its doors. Today, the school is home to all high school, junior high and first & second grades.